If you're wondering when you'll be able to get your hands on those new Nexus phones that have been leaking like a newborn on laxatives, Cnet has an answer for you: September 29th. The tech news agency quotes "people familiar with the company's plans" in its unconfirmed post, saying that the two new devices from Huawei and LG will get their official debut at a press event in San Francisco. Google itself didn't comment, of course. 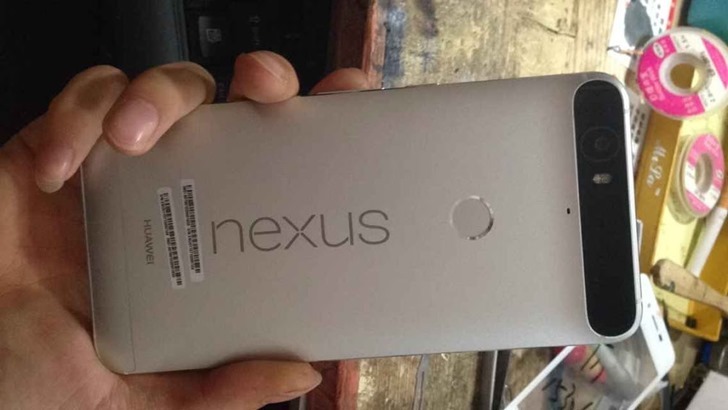 A previous leak of the Huawei Nexus phone. At this point we've seen and heard pretty much everything about LG's "Bullhead" follow-up to the Nexus 5 and Huawei's "Angler" premium model, at least in terms of hardware. The former will be a 5.2-inch model with a 1080p screen, and previous rumors have indicated that the processor will be a Snapdragon 808. The latter, Huawei's first Nexus phone for Google, will use a 5.7-inch 2560x1440 screen and a Snapdragon 810 processor. Both devices will use a fingerprint sensor on the rear of the case. There has been no indication that Google will release another tablet model this product cycle. Presumably the Huawei phone will be sold at the high end of the spectrum, with the LG phone carrying a more mid-range price (which the Nexus line was lacking last year). For what it's worth, that September 29th date has been leaked before, on a single Korean site which says that the phones will also be available on the Google Store on the same day. The Nexus 6 was announced on October 15th last year, so the timing seems right. The two phones will be the first new products to run Android 6.0 "Marshmallow," though over-the-air updates should come to current Nexus devices soon enough.